I’ve made quite a few friends in the industry in the past year or so, and when they ask me to write stuff for their blogs, about 50% of the time, they ask me to write a beard grooming guide for beginners. So, I figured it was about time I put together a little guide on my own site, since I don’t yet have one. he most important thing to remember here is that every beard is different. And, most of the time, if you’re a beginner to the bearding arts, you’re going to have to do a bit of experimentation. You’re probably not going to be able to just go step by step through this guide, follow the instructions, and leave with an awesome beard. Additionally, a lot of the information here is going to be theoretical. As much as I’d like to write a super practical tutorial you could use like an IKEA manual, beards just don’t work like that. The actual hair growing out of your face is only one of the elements that contributes to a successful beard. 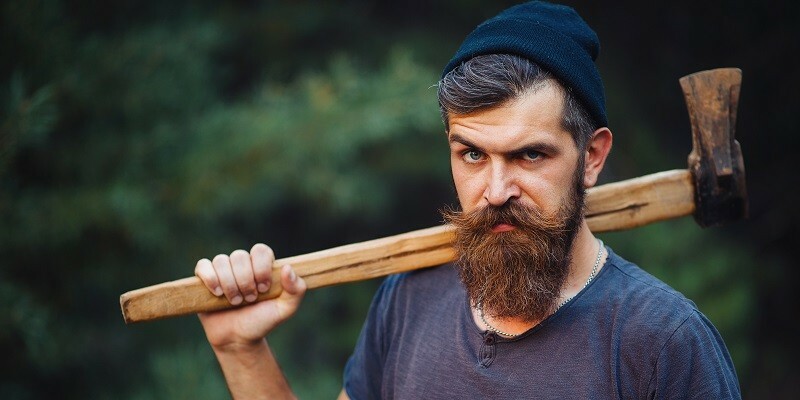 A beard is typically just one part of your overall style (we’ll talk about this more below), and because of that, some of the stuff you need to consider when growing an awesome beard is going to be… abstract. That’s just how it works, fellas. Lastly, I probably missed a few things here. I have a beard of my own, but it’s mine. I personally grow a medium beard. I’ve never had a thin beard, and I’ve never had a thick beard, so I’m surely going to leave out some great advice for those kinds of beards. But that’s where you come in! Hopefully, you’ll be able to help me with some of the information I’m missing from my own experience. Beard veterans, I’m looking at you guys, mostly. Pipe up, and help me help some of these newbies. Now that that’s out of the way, let’s get started! Tip #1: Just grow it. Most of the time, this is the hard part, especially for younger guys who may not be able to grow a thick beard. When I first tried to grow a beard, I had this weird insecurity because it wasn’t, like, this super thick and manly beard. I figured that if I couldn’t grow a beard that made me look like a Greek statue, it just wasn’t worth it. Well that’s 100% wrong. Okay? Just grow it. Even if it’s wispy, give it a few weeks. Really, you should try to grow your beard for at least a month to really get a good feel for it depending how fast it grows. For example, I take about two months to grow a beard I’m happy with. I trim lightly along the way, but, for the most part, I just let it grow. So, lads, just it grow. This is common sense, but it’s also surprisingly tough, and it has to be said here. Just let it grow! Tip #2: After 2-4 weeks of growth, make the tough decisions. 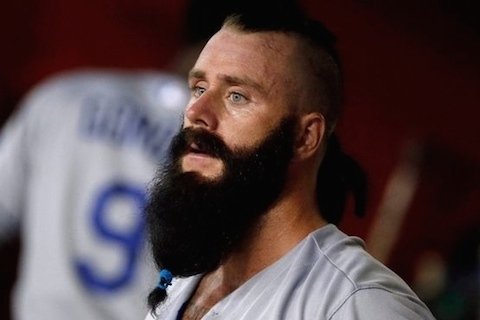 Listen, not everyone can have a beard like Brian Wilson. The 2-4 week mark is usually when you’re going to be able to make a decision about whether or not you want to continue your beardly pursuits. In other words, the first rule is to just let it grow, and the second rule is to then make a tough decision about whether or not it’s worth it. You want to look for a few things: (1) overall thickness of your beard, (2) any substantial bald spots, and (3) unsprouted hair. When you check for thickness, you want to take note of how stiff your beard is and how fast it grows. Don’t worry if you don’t have a super thick beard; that doesn’t mean you can’t have a beard style—it might just mean you’ll be limited in the styles that’ll look good. Guys with thick beards will have a little more flexibility, but there are plenty of beards for wispier hair. Next, check for bald spots. Some guys will have big patches on their face where hair just doesn’t grow. What you’ll be checking for here is if there is no hair growing at all, or if the hair in that patch is unsprouted. If you can see the hair in the follicle, but it’s not growing, it often means the hair is there but unsprouted. In this case, consider a taking some vitamins to encourage it to grow (e.g. minoxidil). If there’s no hair in that place at all, consider going with a goatee instead of a full beard (like I said, this is when you’ll be making the tough decisions). Tip #3: Consider your context. Like I mentioned before, a beard doesn’t exist in a vacuum. A beard exists as part of your overall style. So, when you think about how your beard mingles with the rest of your style, what you’re thinking about is context. Every beard has a context, and context is very, very important. Even if two guys are wearing the exact same beard, it can look totally different if it’s in a different context. For example, consider a long, wild, ZZ Top-style beard. This beard makes a certain statement in it’s traditional context of leather, metal, sunglasses, tattoos and bandanas. The context is: rock, badassery, rebellion. However, that same beard means something different altogether when paired with a slim retro suit and a bowtie. Kind of see where I’m going with this? When you set out to grow a beard, you have to think about all of the elements around it for it to be successful. For more information, check out our blog post on cool beard styles. Tip #4: Consider consulting a professional. This is a very, very important tip for those just starting out. There is only so much you can do on your own, and it pays to remember that there are professionals out there who can give you some great advice. As you approach that one-month mark, go find a great barber, have him give you a trim and ask for his advice. A good barber has usually been in the game for a long time, and they’ve seen all kinds of beards, styles and facial hair types. A barber can offer you a good, objective, third-party look at what your beard is actually doing and how you can make it look better. A lot of the time, this is invaluable. I, for one, consult my barber at least once a month, if not more, and I’m an old vet. Tip #5: Use the right tools for your beard and build a good kit. The tools you need are going to depend on the type of beard you grow. Some beards are fine with just a set of trimmers, while other styles are going to be a bit more nuanced. Still, having the right tools for the job is important, mostly because beards take a certain amount of maintenance regardless of style, and if you don’t have the right tools, your beard will likely look “off” no matter what you do. There are plenty of other things you can add, too. For example, I know plenty of guys who like to keep a leave-in conditioner with them; most of the time, these are dudes with super thick, unwieldy beards, and a leave-in conditioner helps. You get the idea. Remember, too, that there’s probably going to be a bit of experimentation required as you search for the products that work best for your specific beard, so don’t be afraid to try a few things. In my kit, I keep one set of trimmers, two pairs of scissors (one large and one small), several different beard oils and no mustache wax (mine just doesn’t need styling). You get the idea. There you go, guys. I apologize if any of this is too general, but it’s tough, since so many beards are so different. As always, many of you guys have a lot more experience than I do, so please feel free to chime in in the comments!